Personally, I think I’d like Scout Trooper, maybe First Order Flametrooper, and maybe padme for now. Jk Anakin zeta. Pre vizla. Kenobi episode III. Mace rework. Mud/scout troopers. Beckett. Dryden vos. Sith Anakin. Starkiller. Hondo. Clone Trooper Phase 1, 501st Clone Trooper Phase 2, Jedi Temple Guard, Clone Pilot Phase 1, and Jedi knight LukeSkywalker. LAAT Gunship, Droid starfighter, Y-wing, A-wing, and B-wing. I like this idea, but isn't General Kenobi from Episode III? Or from the time between Ep. II and III if he's taken from the Clone Wars series. I think this show was the only place where we saw him in clone armor. Either way, GK is from a time near the end of the clone wars. 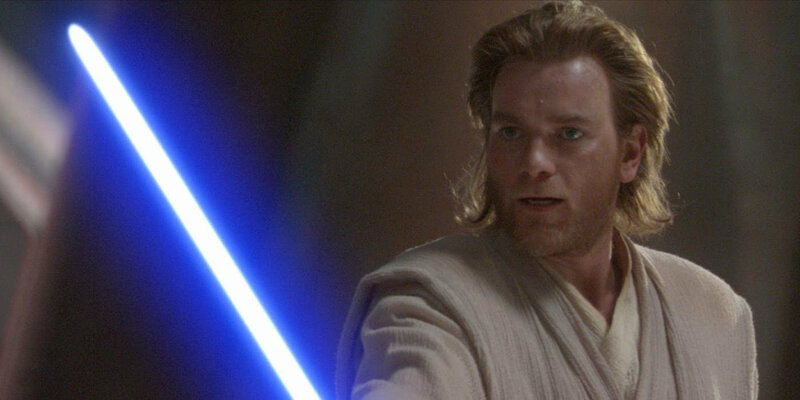 How about the younger Obi-Wan from Ep. II with longer hair? Alas, his red-and-white Jedi Starfighter has already been given to JC. Aside from a pirate faction under Hondo Ohnaka, I'd love to see Mandalorians. Either Death Watch or Pre Vizsla, Bo-Katan (post-Death Watch), Fenn Rau and Ursa Wren. Give Sabine the Mandalorian faction and that's already a full squad. Maybe even Duchess Satine for the light side Mandalorians For a pacifist, she was a pretty good shot with a blaster. I'd also like to see more rebel and Imperial ships. Maybe Porkins plus Antoc Merrick from Rogue One (callsign Blue Leader). We already have X-Wings galore, but I'm sure they piloted more than one ship during their careers. An A-Wing and a Y-Wing would make a great addition to the game. On the Imperial side, I'd love to see a TIE bomber and interceptor. Don't forget the Fetts, you could also have Gar Saxon have the Mando tag. For leaders I think Satine, Pre Vizsla, and Mando Maul would be SWEET. Also an amazing idea, especially the Scout Trooper, it would contribute to my idea of land vehicles like the speeder bike, etc. Leader Skill(Maxed Out)(Zeta): Jedi, Clone Trooper, and Galactic Republic allies gain +50% Offense, +25% Critical Chance, and gain Turn Meter 30% faster. When an ally suffers a debuff, they gain 30% Turn Meter and regenerate 10% Max Protection, if the ally is a Clone, they have a 50% chance to counter(stacked on their existing chance(like Fives)), and if the ally is a Jedi, they gain Defense Up for 1 turn. Unique 1(Zeta): The Chosen One: General Anakin Skywalker has an additional +50% Offense and Counter Attacks when hit, this Counter has a chance to Stun the enemy if Anakin is hit Critically. He can not be stunned and has +40% Potency and +40% Tenacity. Unique 2(Zeta): With Friends Like These...: If Captain Rex, Ashoka Tano, R2-D2, and/or General Kenobi are present on a team with General Anakin Skywalker, they gain the buffs from The Chosen One and are called to assist whenever a Special Attack is used. Whenever one of them is called to assist, Anakin gains +20% Turn Meter and if this fills his Meter, he reduces all allies cool downs by 1. I want there to be a Clone rework that makes them a much more efficient team in Arena with high offense output and new units. Since we need more Tusken Raiders, the warrior, A'Yark, from the Kenobi book would be a cool addition.